Filmmakers and Paroctavians–for this coming session, on Sunday, November 4th, we throw it open to you to suggest which poems you would like us to record. 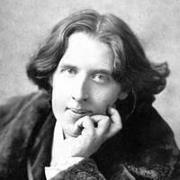 If you have no suggestions, maybe Oscar Wilde does: or maybe we could talk about the MUTABILITY AND CHANGINGNESS of all things. As usual, we’ll see you from 2 to 3:30 PM in Mattin 105 on the JHU Homewood campus.